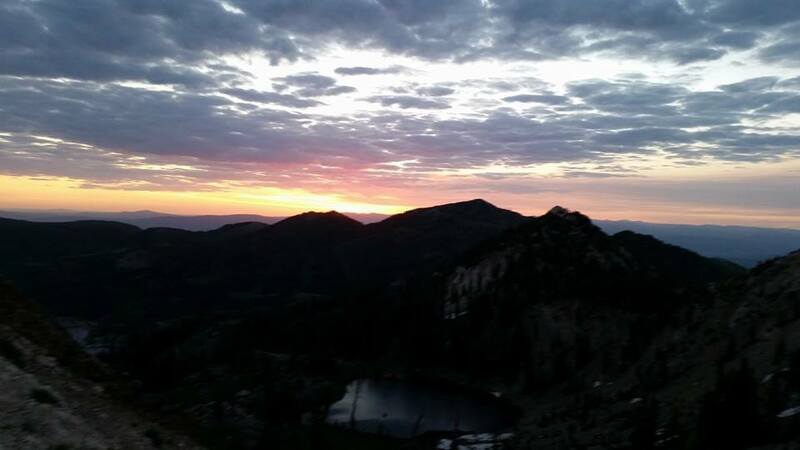 Photos of mountain running and high alpine ridges flood my social media feeds. Athletes atop peaks with goofy smiles on their faces, and I can’t help but smile back at my phone. I’ll like the photo. And I’ll sigh, thinking some noob is going to get in over the head in some sort of mini-epic and I’m one who helped promote it. Comments on the photos will ask where, how far, how much time? And then, others will come. A handful of mountains that were once reverenced become common training ground for locals. The lines between trail running, ultra running, mountain running, and mountaineering are becoming ever more blurred. Speedy summits of Gannett Peak, the Grand Teton, the Flatirons, or other such mountains are being accomplished. 2014 saw record numbers of both attempts and finishes of long mountain routes like Nolan’s. While swift mountaineering is nothing new, the recent influx of runners attempting swift mountain running is new. Pushing our limits in the mountains isn’t a bad thing. Neither are occasional mini-epics. In fact, the many experiences of climbing multi-pitch routes after the last glimpses of light faded away, scrambling onto a knife edge ridge from the safety of a wider ridge, or schwacking through thick brush “sure” I’ll stumble upon a trail or a summit any moment now… these are experiences that have shaped me, and continue to fill me with life and joy. In no way do I desire to discourage others from coming to the mountains. Instead, I ask that these incredibly fit trail runners take a moment of caution as they plan their routes. Also, disclose the route requirements online. 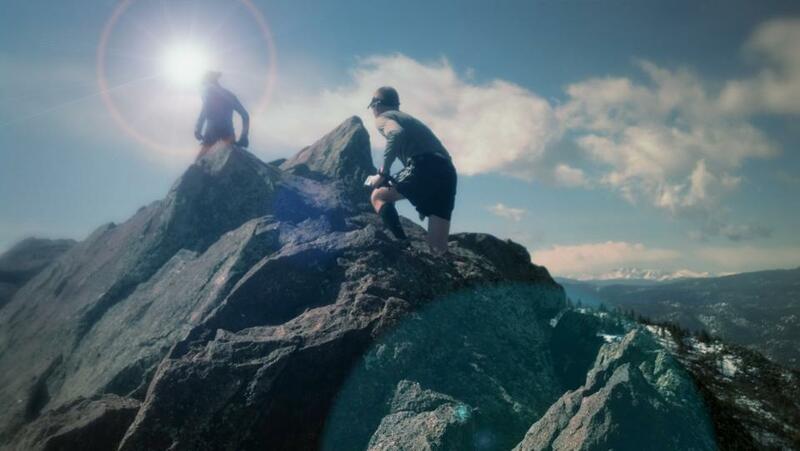 Inviting a group of more than a thousand strangers to “come run” a summit that involves 5th class scrambling, without disclosing that the route has exposed scrambling, has become far too common among local running clubs. If you join in on a group peak bagging “run,” take a moment and look it up on summit post. Knowing what chute to scramble up can make a big difference in your personal safety, and ultimately you are responsible for your own safety. The mountains demand reverence. The ones that demand it most have a way of saying, simply, “No” to becoming a regular summit. They require too much time, or sometimes, too much risk. Each back-country sport pushes limits in the evolution of progression. Things Alex Honnold, a professional rock climber, free solos (climbs without any safety equipment) are climbing lines that once took climbers weeks. WEEKS. Honnold does them in hours without any protection, and any mistake would be fatal. Ski-mountaineering and ski-mo videos continue to challenge what we comprehend as possible on skis. This year more than a dozen high-profile climbers and alpinists lost their lives to the mountains they love. 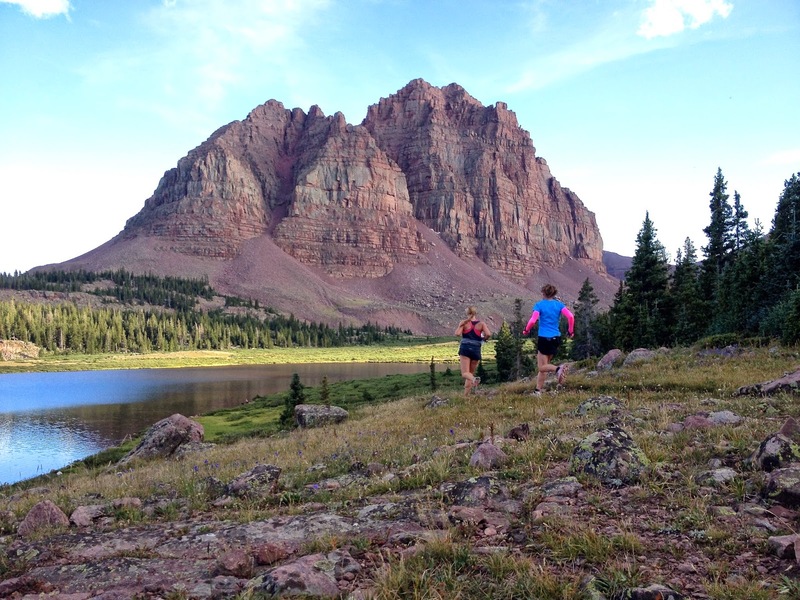 Ultrarunners can cover a lot of ground swiftly, it is at the very base of our sport. This allows mountains that were traditionally summited in a 2-3 day mountaineering trip be “run” in as little as a half day. This new evolving blurred area between ultrarunning and mountaineering has a new set of rules, standards, and limits. As ultrarunners open doors for more and more remote peaks to be explored, take a moment of caution: Do you or your partners have rock climbing, mountaineering, ice axe, or off-trail route finding experience? 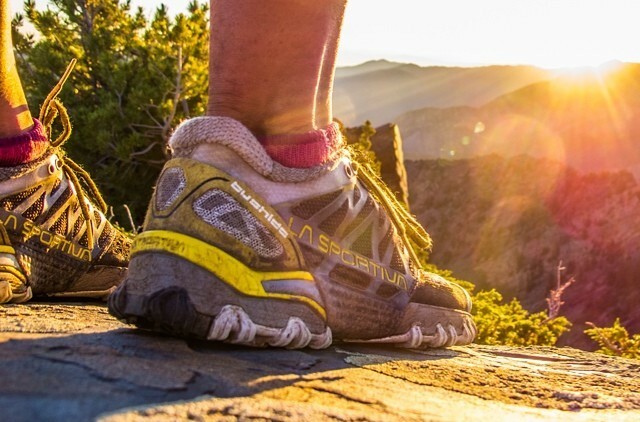 Did you research the summit route before joining a group run? And for those pushing limits, posting the stunning imagery that sends others longing for big summits, do you have a responsibility of adding the words of caution? (i.e. glacier travel required, summit push has chossy 4th class rock, etc). We all start as noobs, somewhere along the while. Every climber has their first lead, every mountaineer their first summit. The learning curve is not something we can skip, and giving back to our community to teach the way our mentors taught us is the least we can do. My many mentors, patiently teaching me how to place gear, hand jam, and advanced climbing techniques shaped my climbing. I don’t want to discourage others from getting out to the same mountains I so very well love. But, when others plan “running” trips to summits only serious peak baggers previously considered, or when social media running groups ask about “trails” on chossy 5th class ridge lines, I worry a little. Maybe it’s the mother in me, but I wonder if they’ve seriously considered the consequences for falling, kicking off a rock on a partner, or getting lost on such terrain. I’ve been projecting a long alpine ridge route/scramble this year. With my 2 attempts, I didn’t get it. It’s within my ability level. Hell, it’s within a lot of people’s ability level. But there are many places on that ridge where a slip would be fatal, places a rescue impossible. It’s not a place to apply the ultrarunner mentality of “just grind it out” and “finish at all costs.” When things go south up there, I bail. The risks are high and the mountains will wait for me to come back and get the send. Some risks cost too much. So, I like those photos on instagram. I like to post them myself. I like to run with others, extend comfort zones, learn new skill sets and teach in the ways my mentors taught me. 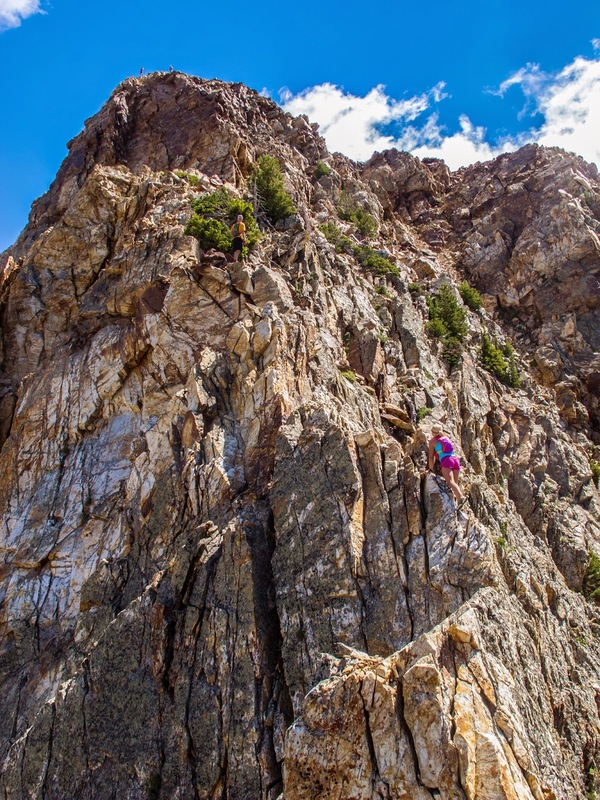 To the runners who want to leave the safety of trails in search of high places, the places few touch as they dance along the ridges in the sky… Take a few seconds of caution, and consider the risks. What other ways can we, as a trail running culture, continue to push boundaries in mountain running without increasing the risks of those around us? This is one of the best articles I have read on this subject, and I know it comes from a love and respect of your mountains and friends. I’m glad I’ve had such a one as you to mentor me along through my beginner’s learning curve. Thanks for sharing your thoughts as this is something I’ve also been pushing on many of the adventurous ultrarunner. Keep in mind that some of us now runners started out as mountaineers and climbers and thus from a different angle than the standard 5k-10k-marathon-ultra progression. The mountains don’t care who you are, how fast you can run, or how much experience you have. If you don’t respect the mountains and the routes they won’t respect you. Be prepared and understand all the risks and be prepared to take care of yourself if something goes wrong, even on a long non-technical line. Also, while Nolans is an incredible line and a fun adventure, its not technical by any means. I might have done a few moves of class 3, but it can be kept class 2 and below pretty easily. As a mountaineer and rock climber who also runs I have to admit I like running with as little gear as possible when I’m peak bagging but with mountain weather It’s always a bit of a risk even in summer. My local mountains around Vancouver British Columbia are prime running/bagging terrain. 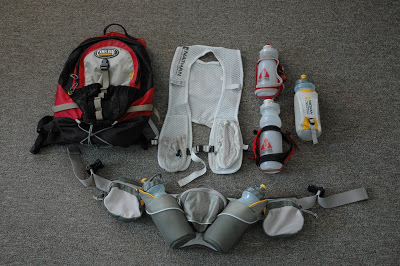 In summer with stable weather I will run with the minimum but as fall approaches my runs become more run/hikes as I always carry the necessary gear in case the weather turns or I sprain an ankle and possible have to spend the night out. I don’t like how much the extra gear slows me down but I feel relaxed knowing I have all the stuff I need if thing go awry. If all you wear is shorts and a tank top and you run in the mountains a frequently sooner or later you will pay the piper. I have gone from baking in 85 degree heat to snowing, windy and freezing within two hours at Washington pass once. I had enough gear and I still froze my a== off. Such a one as you has written a good article, Jennilyn! Right on, this is something I’ve been thinking about a lot lately- turning back when things get sketchy, especially above 12,000 feet. You’ve probably heard (or maybe even said it) but that quote we have about ultras: gotta respect the distance. Same for the mountains, and probably even more so: gotta respect the mountains. 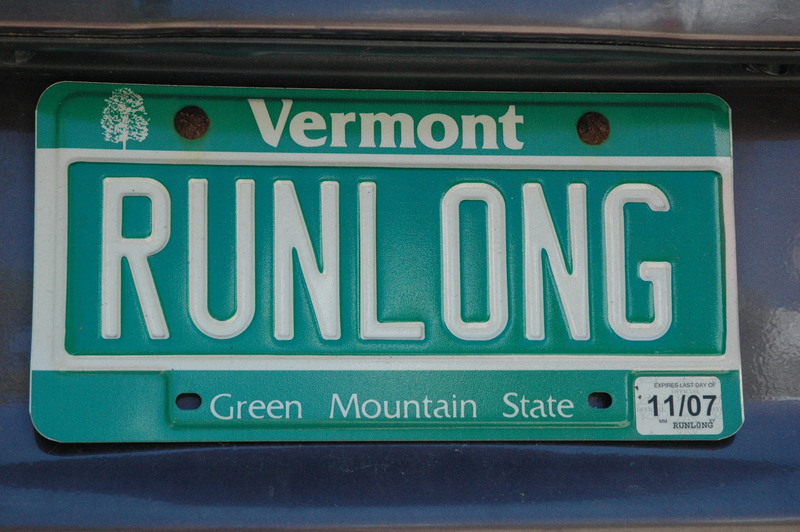 Ahhhhhh, I smile and chuckle a little on the inside when I hear of folks referring to this form of running as something new. There are those of us who have been doing this on a much bigger, longer, and wilder scale in the remote mountains of Alaska for a few decades now. I never tire of not just mountain running but covering whole ranges without seeing so much as a trace of another. As much as I love this type of adventure, I will echo extreme caution. This style of running requires many many years of careful decisions under the toughest conditions. While it may offer some of the most amazing memories it really should only be done with much thought and preparation. The mountains truly are where it’s at. I love them, they are a part of me and are nearly an essential requisite to my existence. I encourage all to experience what I experience but caution not to make the leap quickly. Once an athlete/runner has properly prepared then and only then can one truly find what the mountains have to offer. Without preparation, those same mountains may just decide to take claim and make an end to that runner. Of course we never really know when our ticket will be called and all of us want to live life to the fullest but I hope no one has their number called too soon. Great article and a very timely reminder! 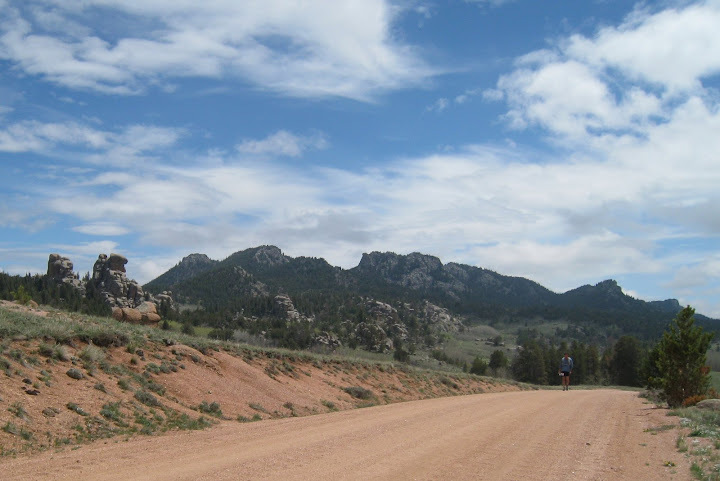 I run with a club – and we are both avid road and trail runners. Most weekends find a small group of us exploring new trails -we are careful when newcomers want to join only in that they know exactly what they are getting themselves into – sometimes a bit of a scare tactic is a good thing! I have been road running for many years, and trail running for the last two – and I still consider myself a newish trail runner but many in the group are experienced trail runners, having run trails for years. Experience is important, but respect for the mountains is key. We have explored some spectacular trails this summer /early fall including the entire Howe Sound Crest trail in a day and the preparations were intense! Great post, and one that is timely (see Clifbar dropping 5 of its athletes for “soloing” – don’t want to be associated with that). I don’t have a problem with risk, or soloing, etc., but I do agree that we – and those who are new to the sport of mountain running and climbing – need to be made aware of the real risks and dangers. This responsibility should fall upon those who are putting forth the images – not every day or attempt leads to a successful climb, mountain run, or solo. We should be encouraging both the brands that support these athletes and the athletes themselves to provide a more comprehensive picture of the endeavor. Hard to do, and maybe not as “neat” as a quick selfie on Instagram with a few words – but necessary. However, peer pressure is the best, and like in the climbing community where really it is only other climbers who can “police” fellow climbers from stashing pads, cleaning up routes, etc., it is up to us who play in the mountains to lead by example and to call out those who do not.